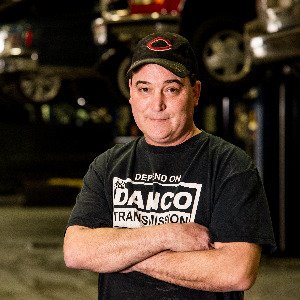 Danco Transmission & Auto Care welcomes you to our website. 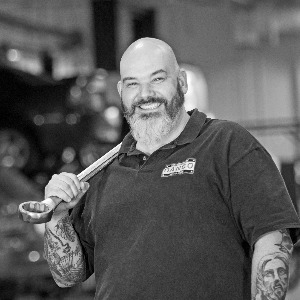 Each automotive technician at our repair shop in Fairfield and serving the greater Cincinnati area is highly qualified and ready to deliver their expert automotive repair knowledge & skills for your every automotive repair need. Danco Transmission & Auto Care realizes that there are many auto repair companies in the greater Cincinnati area to choose from. 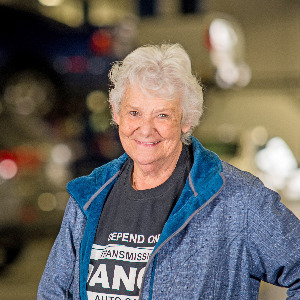 This is why Danco Transmission & Auto Care pledges to all of our customers that we will not remove a transmission from a vehicle in order to complete a repair unless absolutely necessary. Additionally our shop promises to diagnose transmission problems for all of our local and surrounding area customers in an honest and expert manner. 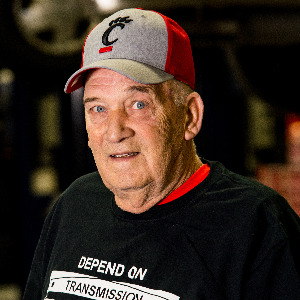 Our shop strives to provide prompt and courteous service to all who visit our automotive transmission repair facility in the hope that you will come back to us for all of your automotive automatic transmission repair needs. Look around our web site and if you have any questions, don't hesitate to drop by, e-mail or phone us at 513 742 5200. We are here to help you. 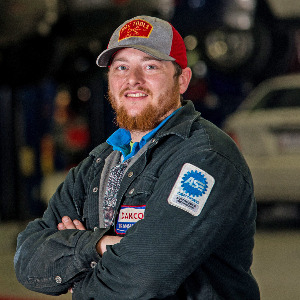 Danco Transmission & Auto Care invites you to take advantage of our easy 24/7 online scheduling! Simply complete and submit the appointment form to schedule your repair. 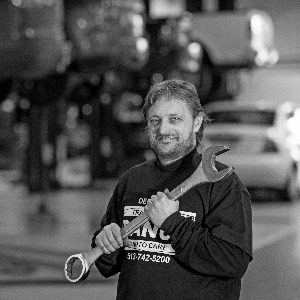 Danco Transmission & Auto Care offers our customers in the Fairfield area nationwide protection. Our warranties are among the best in the automotive repair industry. 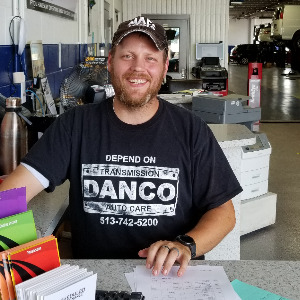 Danco Transmission & Auto Care is always interested in hearing from qualified individuals seeking employment at our Fairfield automotive repair shop. If you are interested in joining the Danco Transmission & Auto Care team we want to hear from you. 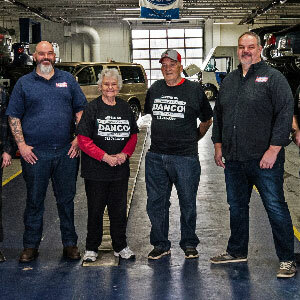 Danco Transmission & Auto Care is pleased to introduce our valued team of automotive repair & service specialists. Our staff is dedicated to ensuring our customers get only the best auto repair in Fairfield, at the right cost, and to their complete satisfaction. Dan Stewart started Danco with our Mother Donna in 1970. The two of them just knew they could fix cars and they loved helping people. We still fix cars and love people today and those are two things that have stuck all of these years! Stop in and you might see Dan checking on us, he might even give you a ride home! Donna Founded Danco with our Father Dan in 1970. She always says he Dan and I'm Co! The two of them just knew they could fix cars and they loved helping people. We still fix cars and love people today and those are two things that have stuck all of these years! Stop in and you will see Donna. People love her so much! She gets at least one hug from a customer everyday! 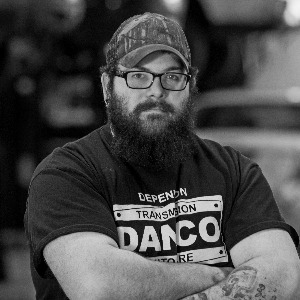 Jason has been with Danco almost since birth. He was always hanging around as a kid and sweeping floors, running parts, doing whatever needed to be done. Today, he still does many of those same things but also runs the business and keeps the shop running like a smoothly oiled machine. When not at the shop, you will find Jason with his family, wife Shannon and 2 daughters Olive, and Ruby. When I graduated Highschool, Joining our family biz was the last thing on my mind. I joined the Navy, college, and a few sales jobs when one day my Mother asked me to call a customer and go over a repair with them, I did it and the rest is history. I found out I truly love this business! Mike is our Shop Foreman and Electrical Specialist. He hanldes the tough jobs. You might see Mike have a wiring harness out of a vehicle or a complete Dash. He does all of our A/C evaporator work. Check out his videos on our website! Phil handles our accounting, Billing and payables. He also pitches in with Customer service and answering phone calls. Phil loves to talk sports and he loves to laugh. Catch his photo. Everyone had a giant wrench so Phil is taking a photo with the fun size wrench! 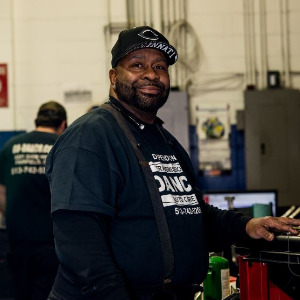 Jim has been with Danco over 20 years! 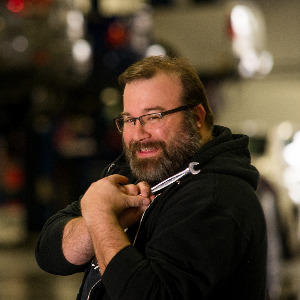 He works mainly in our rebuilding department where he dis assembles and cleans transmissions, but you might also catch Jim working with Mike on an AC Job or just anywhere he is needed around the Shop, Jim is a valuable asset. Jim Plays the Bass in his spare time in a local rock band. 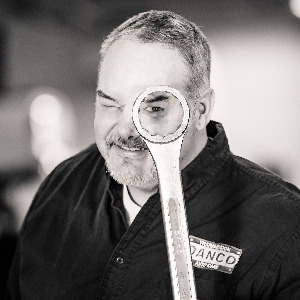 Mike is our Lead Rebuilder and has been with Danco for quite a few years. Mike enjoys rebuilding transmissions, and transfer cases. He will also pitch in with some diagnosis and road testing. He is a strong team member. Freddie is our lead undercar tech. He does most brake jobs, Tires, Engines. Freddie pretty much does it all. We rely on his expertise everyday. Jimmy handles the shop sanitation and maintenance. He always has a story to tell and keeps us laughing. Welcome James, our newest team member and Lead Service Advisor. James has held many customer service positions and comes highly recommended from his previous employers. He prides himself in great customer service and is always smiling. His years of management make him a valuable asset to our team. Welcome aboard James!